SOURCE was initiated in 2010 to fulfill a need for reliable, resource-efficient, simple, and user-friendly online software for preparing infrastructure projects. A tool was also needed to ease tracking and monitoring of projects throughout their life cycle and effective project-related information dissemination including for the purpose of possible resource mobilization. SOURCE has since evolved into global software and a joint initiative supported by the multilateral development banks and development finance institutions. Six years on, SOURCE was launched in January 2016 and as of August 2018 had about 200 projects and 1,700 users in 44 countries. SOURCE successfully addresses key shortfalls in project preparation: the lack of coordination among public agencies and project stakeholders, capacity and resources within implementing agencies, understanding between public sponsors and private investors, and integrated digital project management tools. The format of training which was followed (punctual 2-day trainings focused on operational staff) does not bring change. A more institutional approach – involving all agencies and integrating the use of the platform into the country’s project development cycle – is necessary to achieve the full potential of SOURCE. For a wider implementation, SOURCE also needs to accommodate certain degree of customization reflecting different agency’s specific needs. SOURCE is an important first step but needs to go a few steps further to enhance the consistency and quality of project preparation. Strengthening the role of SOURCE as a global project data repository to support the development of infrastructure as an asset class. On behalf of the multilateral development banks, SIF has been spearheading the management, development, and promotion of SOURCE for the last 2.5 years. As part of this first phase, SIF has conducted more than 60 on-site trainings in about 40 countries, benefiting more than a thousand trainees from various governmental or institutional organizations. About 200 projects have been under development on SOURCE since inception. SOURCE facilitates collaboration and coordination among project stakeholders and, notably, different government agencies by having all concerned agencies gathered on a single platform. SOURCE creates a common language between public sponsors, private investors, and financial players. Its structured approach to project data allows project developers to present projects to potential investors in a format that both understand and are comfortable with, creating efficiencies and greatly reducing transaction and financing costs. Providing a comprehensive guide to all relevant aspects of project preparation. This helps them (i) follow a consistent and replicable protocol to prepare projects, (ii) identify capacity and resource gaps and outsourcing needs, (iii) recruit and manage external advisors. Disseminating global principles, standards, and best practices in a practical, digestible format, and delivering knowledge to the right professional at the right juncture of the lifecycle of the project. SOURCE’s templates can be customized to the country’s regulatory framework and to connect to existing IT tools (e-procurement platforms, project management systems, and so on). This reduces effort to address change management and avoid double-entry of information and duplication of effort. Traditional training does not bring change. Obviously, irrespective of the usefulness and practicality of the platform, an institutional framework is required to ensure proper implementation and adoption by government agencies. All SIF trainings in the last couple years have been central to the dissemination and promotion of the tool and allowed professional practitioners to test the software and provide their feedback. But the conclusion is clear: The format of training which was followed (punctual 2-day trainings focused on operational staff) does not bring change. A more institutional approach – involving all agencies and integrating the use of the platform into the country’s project development cycle – is necessary to achieve the full potential of SOURCE. The very rationale for developing SOURCE as a cloud-based solution was to use technology where it works best: delivering scale and consistency. SOURCE is therefore in a unique position to be at the center of project data and knowledge. But its full potential can only be achieved if a critical mass of users, and projects, is reached. Consistency is key, but quality matters. The current version of SOURCE aims to raise awareness among project developers of important aspects of project preparation. It also aims to inform potential investors of the comprehensiveness of due diligence. This is already a game changer. But more support is needed to increase the quality of the project preparation, that is, how to answer SOURCE’s questions. Integrating SOURCE in countries and multilateral development banks. 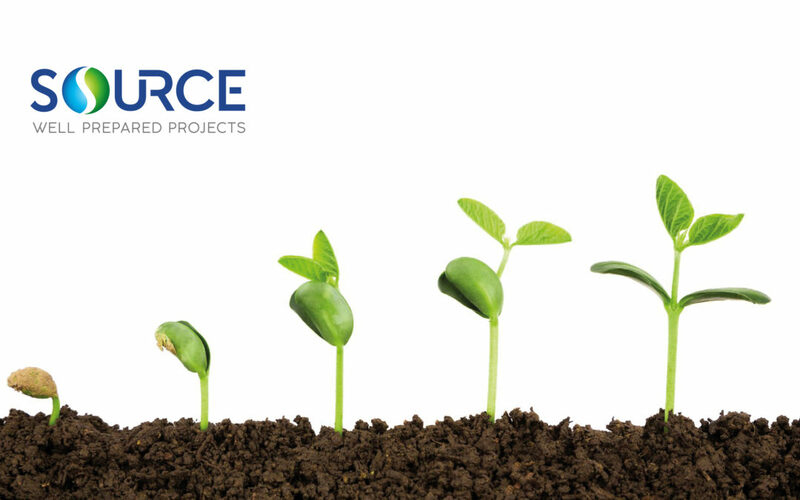 During SIF’s Advisory Board Meeting in April 2018, a new phase of SOURCE’s global strategy was endorsed by those development institutions, with efforts focused on integration of SOURCE. Among countries, in 2018 it is being piloted in Mauritius, Nigeria, Philippines and a roll-out plan prepared for existing and new countries expressing interest. This will be covered in 2019. Among institutions, SIF began discussions with the Asian Development Bank, the European Bank for Reconstruction and Development, and the InterAmerican Development Bank to integrate SOURCE into operations. Integration includes institutional and capacity support to the organization to reviewing project cycle with a view to accommodating the use of SOURCE across all implementing agencies. Strengthening capacity. SIF also began discussions with partner multilateral development banks and other international organizations to bring more knowledge to SOURCE and integrate key reports, principles, and guidelines at the right time in the project lifecycle. In 2018, SIF intends to harmonize its questions with and integrate (i) the World Bank’s Benchmarking PPP Procurement, (ii) the APMG PPP Guide, (iii) the InterAmerican Development Bank’s Framework to Guide Sustainability Across the Project Cycle, (iv) and the OECD’s Principles for Public Governance of PPPs, among others. In addition, it will launch a first series of consistency checks in August 2018 to provide a first level of quality assurance by identifying potential inconsistencies among answers provided by project developers. The objective is to identify possible input errors and questions from the private sector about aspects of project preparation that may require further clarification. Connecting SOURCE and building global lessons-learned. With servers recently migrated under United Nations jurisdiction, SOURCE is uniquely positioned to act as the trusted, secured collector and repository of government project data across the project cycle. Its structured yet customizable approach for infrastructure project data allows SOURCE to connect databases, initiatives, and platforms to share (appropriately anonymized) information. SOURCE will also generate structured data that can be used at the project portfolio and national and/or global stages to develop analytics, benchmarks, and indicators on the performance and sustainability of infrastructure. In collaboration with the Risk Database Consortium, SOURCE will contribute to the development of infrastructure as an asset class by providing private investors and other financial players with standardized, translated, and transparent information about infrastructure project risks. This dynamic, structured approach moves infrastructure projects closer to “measured performance”. And once measured, performance can be influenced, and change happen.